This customer was building a house and had us build a garage at the same time. 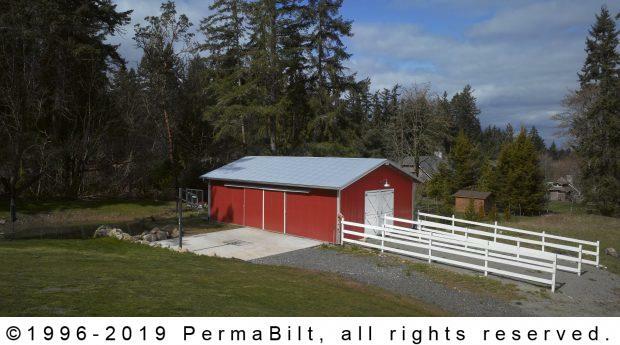 She also knew she needed a barn for her horses, so had us build this barn along with her garage. 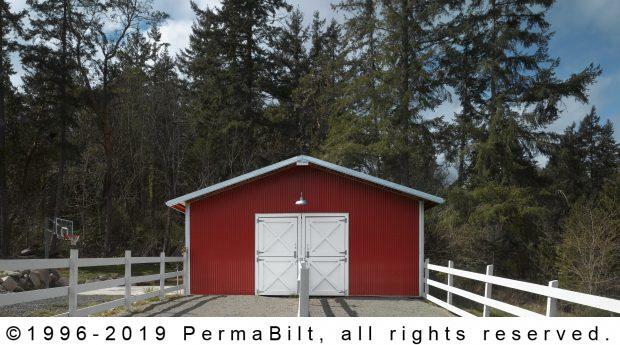 The barn has 2 PermaStalls and a tack room that comes with a 4’ wide door for easy access from the outside of the building. 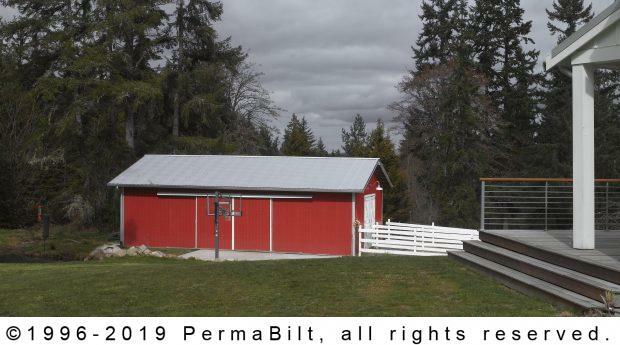 We constructed these buildings in the middle of January, so building progress was at times slow with the torrential rains we had that year, but in the end, the customer (and her horses) were pleased with the end result.